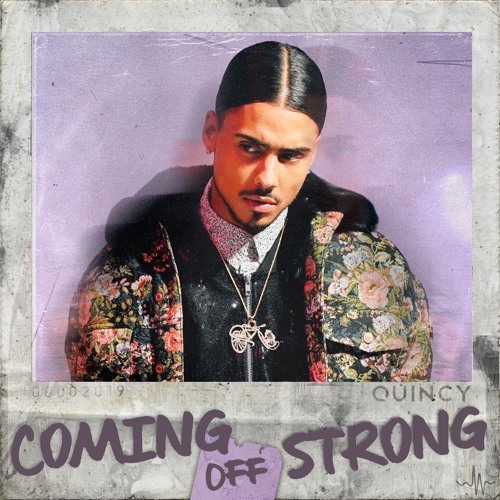 Home / brand new / brand new artist / música / Quincy / Quincy Unveils New Single "Coming Off Strong"
Quincy Unveils New Single "Coming Off Strong"
US R&B artist Quincy Brown, the son of 80’s R&B singer Al B and the adopted son of Sean “Diddy” Combs, has just unveiled his first single of the year. Titled Coming Off Strong, this is quite an infectious piece of Contemporary R&B with lots of soul. I am really loving how his warm, smooth vocals flow over the sensual and laidback instrumental. The song details his excitement about a significant other after they went on a date. Coming Off Strong is a great song for Valentine's Day and its possible bedroom sessions, hehe. Check it out below!